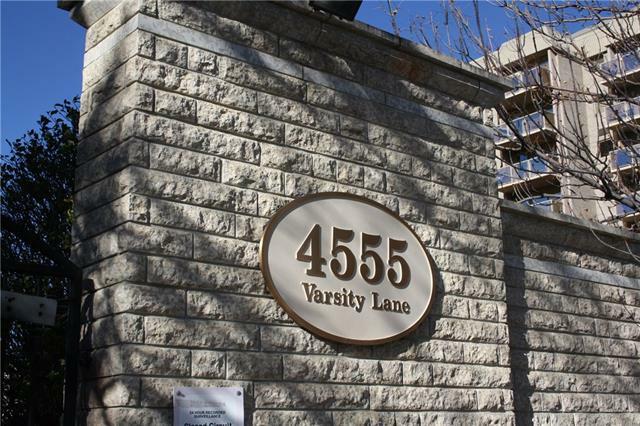 Stunning top floor PENTHOUSE unit #1 in desirable Varsity Towers! They rarely come on the market. 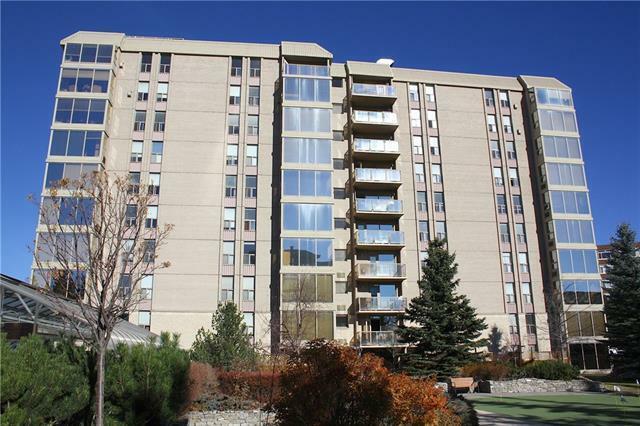 This is a spacious one bedroom, 1 1/2 bath unit. Very open, bright and move in ready. 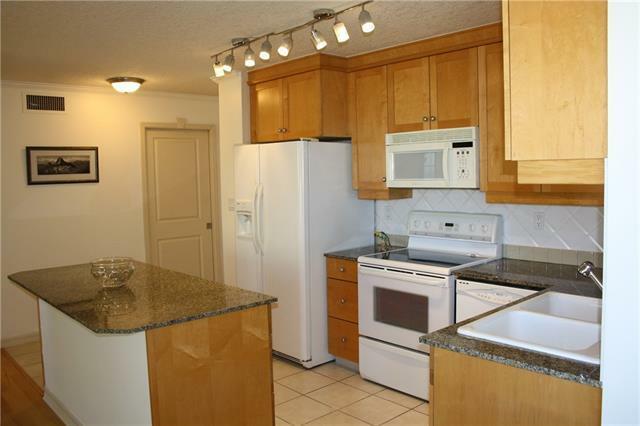 Tastefully decorated maple cabinets, wood laminate floors, granite counters, designer colours, crown moulding and full appliance package. A large eating bar and formal dining area. 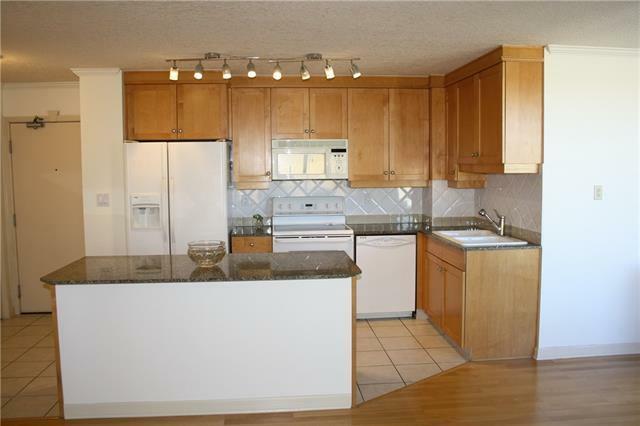 Large & bright living space with cozy fireplace and views of Nose Hill Park. A great den with stunning mountain views. A spacious king size master bedroom with walk in closet, private 4pc ensuite with large, jetted tub and separate shower. Enjoy your own air conditioner and insuite front load washer and dryer. This great complex has many amenities to keep you busy inside and out including parks to walk, green house, putting green, outdoor bbq and reading areas. Indoor pool, hot tub, exercise rooms, theatre, social spaces, library, roof top patios with bbq's and more!! Even a car wash!! A truly a wonderful community to make some new friends!